The gray squirrel is one of the most common critters in the state of Minnesota. You literally can see them everywhere — in your yard, in the woods, at the parks, and, of course, crossing the street! These critters generally weigh about a pound and a half and are characterized by a thick, furry tail. 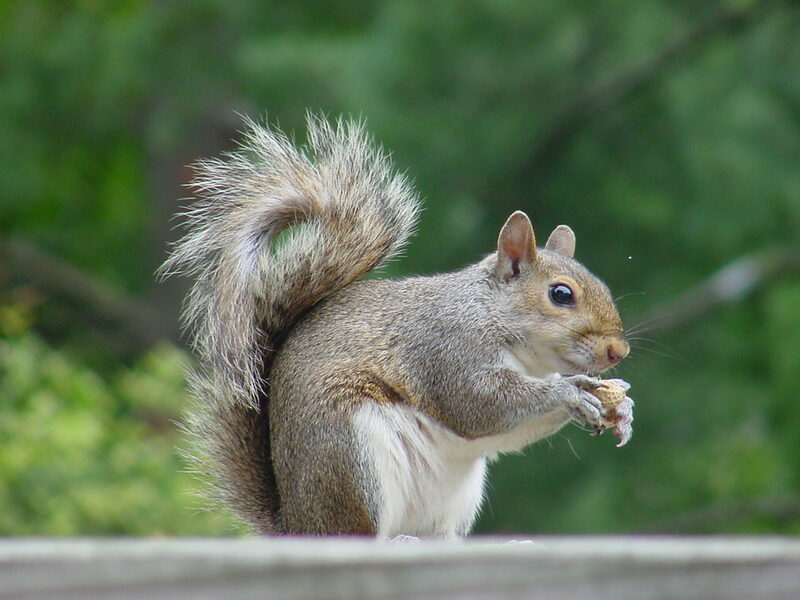 Gray squirrels have white or light brown fur on their stomach and in their ears when the weather turns cold. They eat all types of nuts and can hide them to find them later. They climb trees, houses, and you can even see them crossing power lines. They are very cute, until they become a nuisance. Why Call a Professional to Remove Nuisance Squirrels? If a squirrel happens to build its nest somewhere in your home or on your property, the friendly creatures can actually cause damage and keep you and your family awake at night! If they choose to take up residence with you, they will likely nest in your attic or your chimney. They can do some real damage to your home, by chewing on wood, piping, wires, ducts or really anything that can be chewed. If you think that you may have a squirrel who has decided to share your home, you want to have them safely removed as soon as possible. Minnesota Wild Animal Management Inc. can trap these squirrels and remove them from your home, once and for all. We can do this quickly, in a humane way, so that you know that the squirrel(s) are safely removed and your home is no longer being shared (and damaged). In addition to humane trapping and removal, Minnesota Wild Animal Management Inc. can also repair the damage left behind by the squirrels and make sure that any vulnerable spots in your home are fixed so that other creatures do not try to come in. Minnesota Wild Animal Management Inc. can handle all squirrel or other wild animal removal in Blaine, MN. Our team had been in the wildlife management business for more than 30 years and our technicians are experienced and trained to safely, quickly and humanely remove squirrels, bats, birds, chipmunks, raccoons, mice, rabbits, skunks and many other critters. We understand that hosting wild animals in your home is stressful — and potentially dangerous. We are available to help anytime, day or night, 24/7. Call us at 1-612-237-8282 for help!